A member of Hamas's military wing was reportedly killed Sunday in a tunnel collapse near Deir al-Balah in the central Gaza Strip. An autopsy was being carried out Sunday on the body of a Palestinian professor who was gunned down in what his family claim was an assassination by Israel's Mossad spy agency. He was walking from his high-rise apartment to dawn prayers on Saturday at his local mosque in the residential area of Setapak in Kuala Lumpur when two men drove up on a motorbike and fired at least ten bullets with a handgun, four of which struck his head and body, killing him immediately. Israel has always been suspected of involvement in several high-profile assassinations of Hamas operatives, including the 2010 killing of the militant group's commander Mahmoud Al Mabhouh in a Dubai hotel. The Hamas engineer, Fadi al-Batsh, was assassinated in Malaysia over the weekend, with Hamas placing the finger of blame on the Mossad. Inspector General of the Malaysian Police Mohamad Fuzi Harun said today that ehy are investigating the killinof palestinian scholar Fadi Al-Batshal. "We heard about it in the news". Al-Maliki told Voice of Palestine radio on Sunday morning that Friedman's attempts to bring down the term occupied territories indicates that the U.S. has completely lost its credibility, and showing full bias to the occupation and settlements. "There will be an unsettled account between us and it", Haniyeh said at the Gaza mourning tent, referring to Mossad. Malaysian Deputy Prime Minister Ahmad Zahid Hamidi said the suspects were believed to be Europeans with ties to a foreign spy agency. He could have been seen as "a liability for a country that is an enemy of Palestine", Zahid was quoted as saying by Bernama. Two bullet slugs were found at the scene of the incident, ' police chief Lazim said in a statement. Al-Batsh specialised in electrical and electronic engineering and worked at a Malaysian university. Tensions have risen in recent weeks with a series of mass protests along the Gaza border in which 32 Palestinians have been shot dead by Israeli troops since late March. 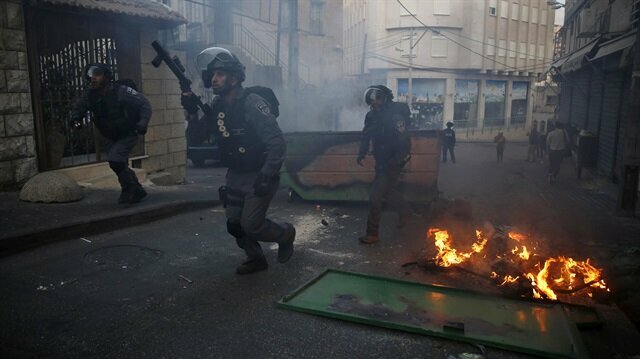 Some 35 Palestinians have been killed since the start of protests on March 30. The assassination of Hamas figure Fadi al-Batsh comes as the death toll escalates on the gaza border. When asked if there was evidence of foreign involvement in the killing, he said: "We are still investigating the motive". He said that Israeli actions pose a threat not only to the Palestinian people, but also to worldwide law, which Israel "violates every day". Israel's military deployed snipers ahead of the protests, and the military was given permission to open fire on protesters if there was extreme danger or if Palestinians attempted to cross the border into Israel.